The 99 square meter apartment is located on the ground floor of a nice, quiet village and is suitable for up to 10 people. The apartment has 4 bedrooms, a kitchen, a bathroom with tub, separate shower and toilet, and a separate second toilet. In addition, the apartment has a spacious terrace. The bedrooms are generally equipped with 2 beds, the fourth bedroom is equipped with 4 beds. The apartment is equipped with satellite TV, radio, games and a fully equipped kitchen with utensils (plates, pots, pans) and cutlery. Beds are made on arrival, so LINEN not necessary, towels and bath towels are also available. coffee and tea ready to be available free of charge. 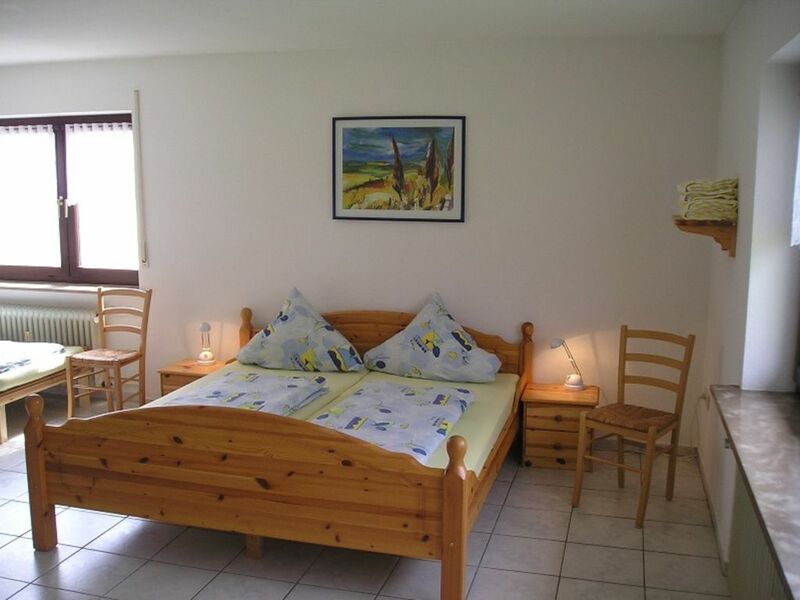 Great holiday accommodation for up to 10 people - ideal for families and groups welcome in the apartments Sattler in a cottage quiet - next to Europa Park (5 minutes by car). The apartments have a large balcony or a spacious terrace where you can relax after a busy day. Nearby there are breakfast places, a bakery is within walking distance from the supermarket is only a few minutes by car. The particular advantage: no daily tourist tax of 1.50 Euro per person, because the apartments are located in the neighboring Europa Park. Mooi, zeer schoon, opgemaakte bedden, handdoeken en zelfs thee en koffie. Wel is het enigszins lawaaiig als er boven buren zijn. Diese Wohnung ist perfekt für viele Leute die Vermieterin ist eine sehr nette höfliche hilfreiche Person. Wir würden gerne wieder kommen. Nette Ferienwohnung mit ausreichend Platz und sehr schönem Garten. Sehr netter Vermieterkontakt. Absolut weiterempfehlenswert.